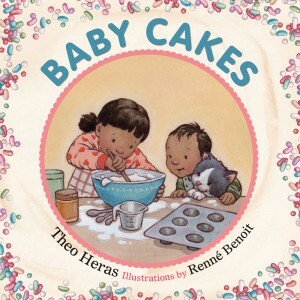 “…when I’d recently read Iris Baby Cakes, by Theo Heras and Renne Benoit, she’d declared, ‘That’s such a good book, Mommy.’ Mostly because she’s obsessed with cupcakes, but still. Plus there was a recipe for cupcakes in the endpapers; I said, ‘We’ve got to make these.’ And so on Saturday night, we did. Enter for a chance to win 1 of 10 copies of Baby Cakes on Goodreads!